Less nosey! This time the nose is the side view of an Etendard IV P.
When I was done with this one, it reminded me A LOT of a G.91 "Gina". I was actually thinking along the lines of a G.91Y camera nose for it. The G.91 looked enough like the Dog Sabre as it was. Can you imagine how much more jarring to the eye it would be if it was all F-86D save the G.91Y style nose? In real life the Yugoslavian AF operated old F-86D's with camera packs in place of the rocket launcher pack. I presume the radars were swapped out for balast. Were there, in real world, any F-86 in SEA camo scheme? I know ROKAF. Were there any other air force? Can anyone link a pic? That's very reminiscent of the Nanchang Q-5 offshoot of the MiG-19. 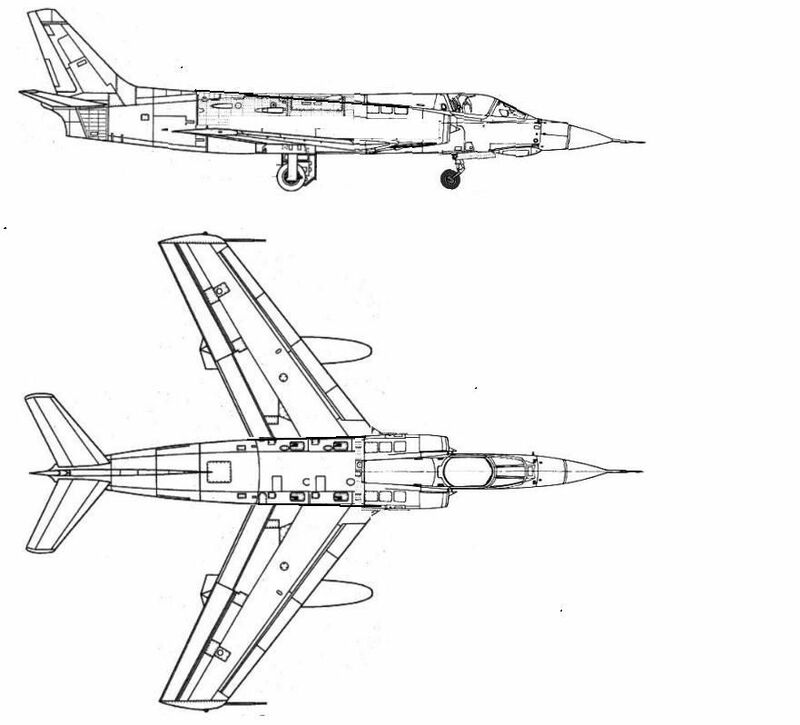 The IDFAF ordered Canadair Sabre 6's. One got painted up but the order was stopped. Similarly the Rhodesians tried to get South American F-86K's but they got blocked. I did build a RRAF F-86E, ex RAF Sabre 4, and an IDF 6 a long time ago. Just to annoy the Sabre Elite, I'd love to get the recently reissued RMX F-86F and rescribe it with most panel lines in completely the wrong locations and then do some correct paint scheme. Complete with a ''research paper'' showing the kit has exactly the correct sweep to its main wing.